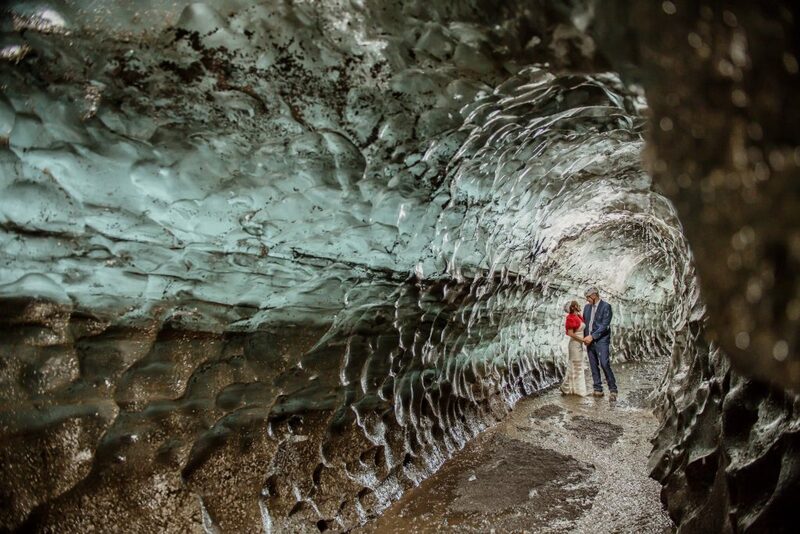 While many couples say they would go to the moon and back for one another, this pair decided to take the opposite approach, heading to the center of the Earth to get married INSIDE A VOLCANO. 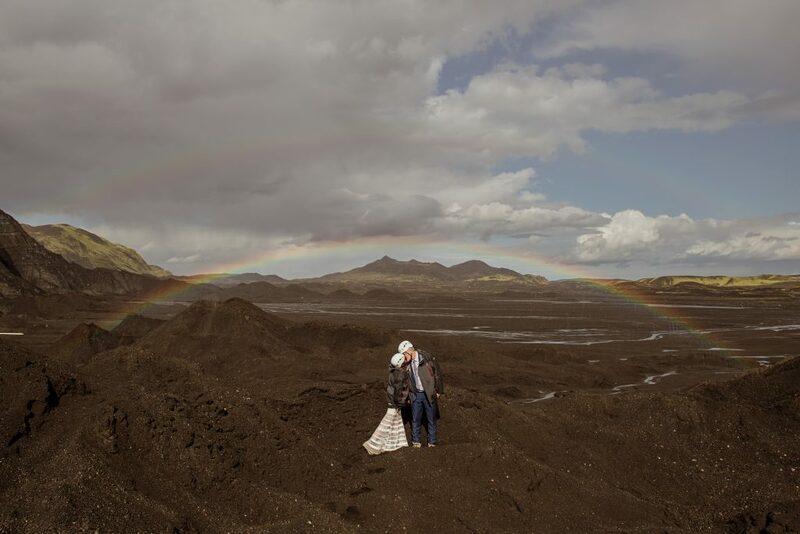 Australian residents Jan and Petra Saurbrey scaled the Thrihnukagigur Volcano, Iceland, for a ceremony like no other – their beautiful wedding photos including the likes of hard hats and climbing apparatus, as well as traditional garments. In their other one-of-a-kind snaps, Jan, 52, and Petra, 50, can be seen walking across beautiful green fields, waterfalls and rivers flowing in the background; strolling across pebbled beaches; and embracing on ash with a beautiful rainbow glowing in the background. 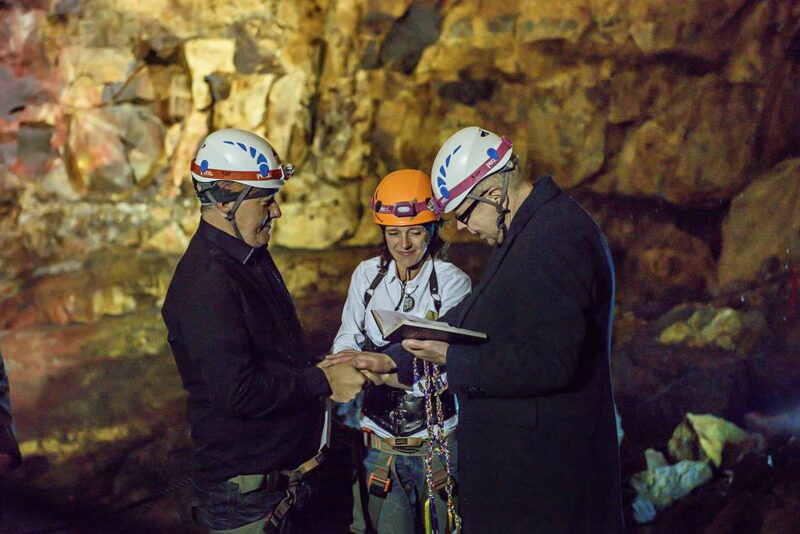 The ceremony took place more than 100 meters underground, on July 7, 2017, and a secondary shoot on July 9 – but it wasn’t until recently that this stunning images were unveiled by organizer Ann Peters, owner of Your Adventure Wedding, who explained the story behind them. 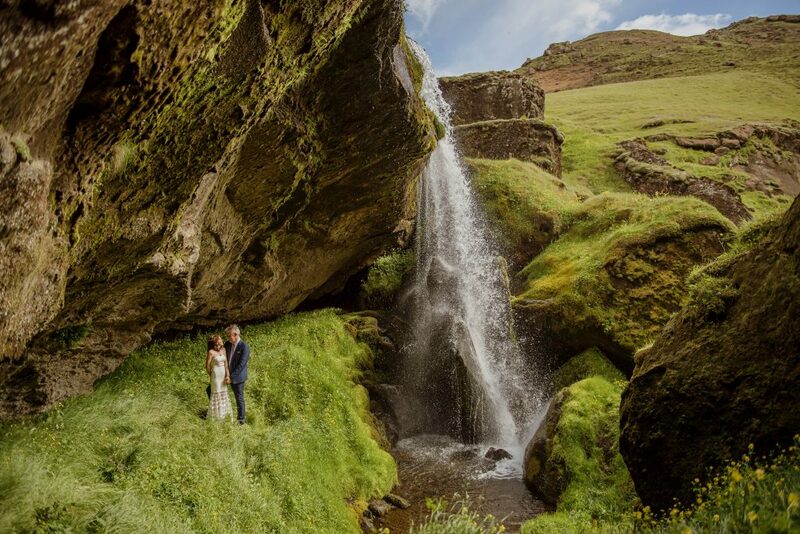 With family in Denmark and Germany, Jan and Petra decided that Iceland made for the perfect location for their big day. As the pair from Adeliade, Southern Australia, searched for locations, they discovered a volcano tour called “Inside The Volcano” and thought it would make for interesting spot to visit while in the country. Having liaised with the necessary parties, Petra and Jan were told that each touring group gets approximately 30 to 40 minutes to explore inside the volcano, and what they decide to do in that time is rather flexible. So the couple decided to get married. Petra, who is originally from Germany but has lived in Australia for around 30 years, said: “This may not be for everyone. “If you want a white dress, if you want high heels, a pretty harido and large groups, don’t do it. The couple said they were delighted with how the images turned out, and photographer Ann said she loved working with the lighting (or lack of) and the challenges that posed. 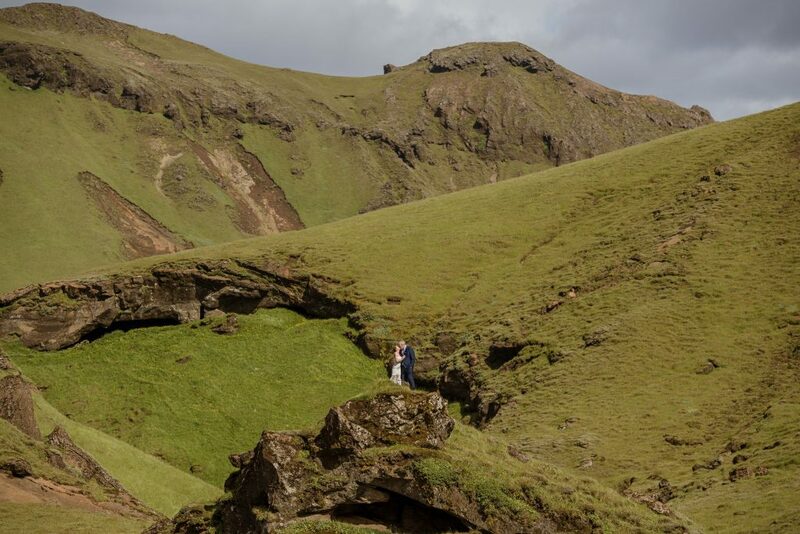 Going forward, Ann said, she hopes Petra and Jan’s wedding will inspire others to consider the kind of weddings that Iceland-based Your Adventure Wedding helps to organize and shoot – including the likes of climbs, hikes and rappelling. Jan, who is originally from Denmark, said: “The 50-minute walk to the volcano entrance and the information about the area and the volcano was fascinating. “Then there was the excitement of being harnessed in and gearing up with safety helmets. It was absolutely mind blowing and difficult to explain in simple words. “The mesmerizing colors and rock formations were just out of this world. 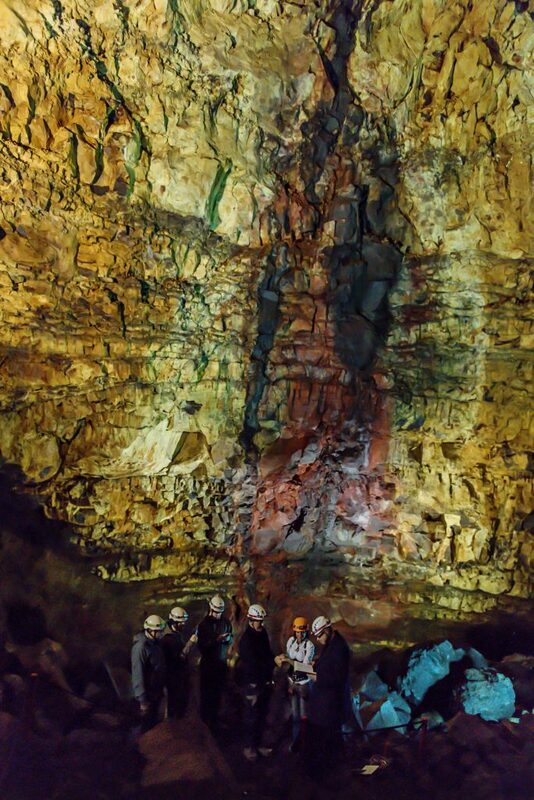 “As the lift descended deeper and deeper into the volcano, the natural beauty was just amazing and awe inspiring. “We thought: Who are we? So small, so insignificant compared to the beauty that was formed by natural forces. Granddaughter of first ever Miss Barnsley wins the same title 52 years apart!